What is AutoCount POS System and its Main Benefits? POS (Point of Sales) keeps the record of the stocks, items to be sold and the customers. The AutoCount POS system is a real-time ‘data synchronization’ system that helps the small and mid-sized businesses to keep an eye on their sales data. This system has utmost stability because it’s front-end and back-end is supported by the Microsoft SQL server system. It looks after the server’s back-end integration so that the accounting software can work seamlessly. Even the POS terminal provides the support to check the stock left with the business house by linking with the Main Database Server of the Headquarters. 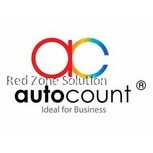 The AutoCount Point of Sales helps the retailers to run their business without worrying to check the stocks every time. Here are some main benefits of choosing such a system for your small and mid-sized business houses. 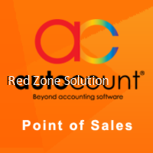 Produces Analytical and Comprehensive Report: The AutoCount POS software is integrated in such a way that it provides comprehensive and analytical reports about the stocks, customers, and sales. This system supplies significant information to plan the business strategies of the business houses. Furthermore, it helps the companies to know the payment methods usually chosen by the customers. This system also assists the executives to analyze the days and the period in which the higher sales are being generated and supports in evaluating the performance of the promoters. It is a Flexible System: This software renders greater flexibility for the sales that eventually suits the needs of varied business practices. By using this system, the businesspersons can hold their bills for the temporary period and then resume it on a later day. The receipts can be printed as soon as the product items are scanned or the customers have made the payment. Provision of Real-Time Update: The AutoCount POS system extends support to provide real-time up-to-date information flow within the company. The synchronization system helps the system in exporting master files to the terminal and then to the Headquarters. 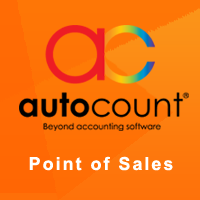 The Point of Sales transaction will update the data automatically in the AutoCount account quickly. Even the people sitting in the respective organization’s branch can enquire about the particular product from the HQ. No Corruption in System’s Data: As the back-end and front-end servers run on the Microsoft SQL server, so there is no possibility of getting the data corrupt. Moreover, this server is known for its speedy performance and improves the stability of the system. To sum up, it can be seen that AutoCount POS software is known for its high-profile systematic performance and the way in which it renders corresponding actions to the enquired information.